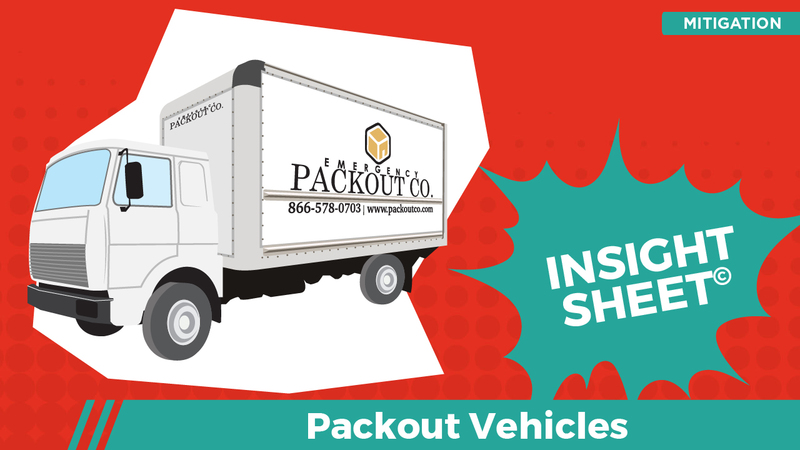 This Insight Sheet seeks to highlight the basic vehicle concessions associated with a standard two-day packout and two-day packback. The catalyst for the packout was a (Class 3 | Cat 1) water loss which resulted in the need for a packout and off-site storage of the contents associated with one bedroom and one large living room. The property was located in a rural location and additional trucking fees had to be incorporated. 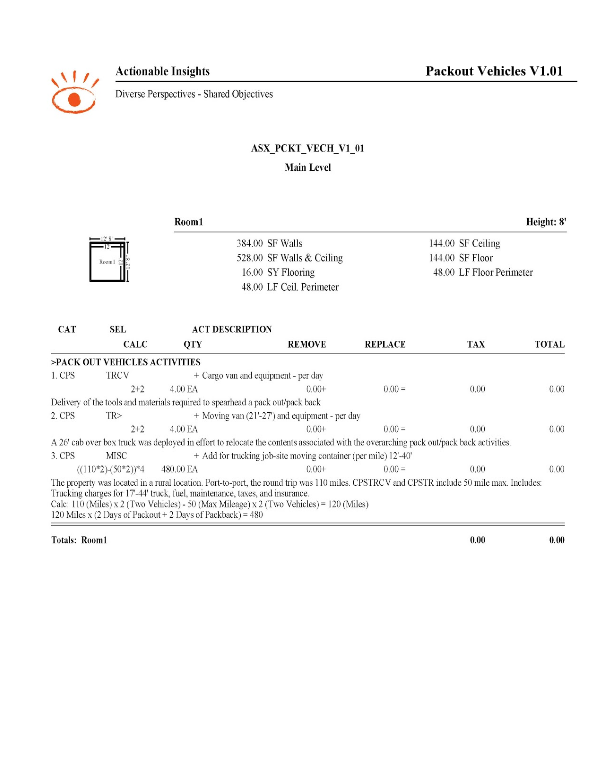 This Insight Sheet exists to clarify how one might invoice for packout vehicles. This does not seek to include or make concessions for all equipment and/or activities as it relates to a loss of this nature. During a packout, your work space (walking-working area) can quickly become unsafe as surface space is filled with packing materials, equipment, tools, disassembled furniture, and boxed contents. OSHA maintains that walking-working surfaces should be safe and passageways be kept clean and orderly. Relocating boxed contents and disassembled furniture to a moving van and unused packing materials, equipment, and tools to a cargo van is imperative to maintain a safe working environment.